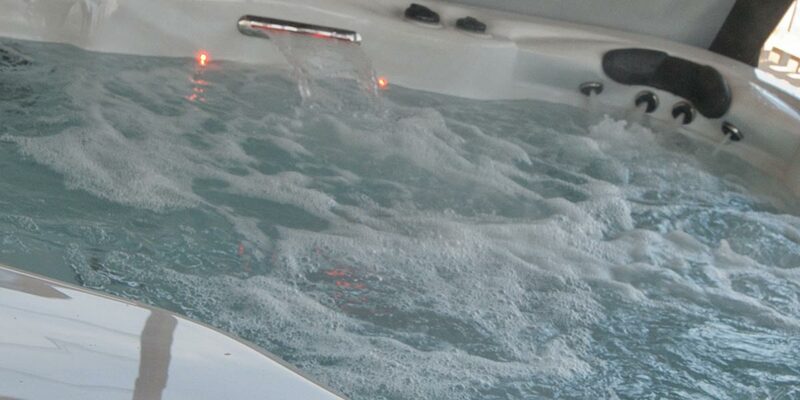 Many of you already know and have perhaps experienced the benefits of using a hot tub. The hot water helps relax and de-stress whilst improving your circulation and relieving pressure on joints and muscles. There is nothing better at the end of a long day than sitting and unwinding in a hot tub. But what if you could also get fit in a hot tub? Well if you are in Las Vegas then you can using the Fit Wet Jet Bike. Think of it as a cross between an exercise bike and hot tub. Exercising in water helps in different ways, it increasing the resistance of the exercise and therefore gives you a better workout and uses more calories. The water is also supportive so its easier on your joints and muscles, so there is less likelihood of injuries. OK they are still $16,000 so perhaps a little expensive for a domestic house, but keep an eye our at your local gym for one!